Do you enjoy coupons, free groceries, and getting huge discounts at the cash register? Well, I hope you do because I do. Feeding my family is getting harder and harder. Our income is just not increasing to keep up with the increase in the cost of food. Of course my kids are growing even faster than the rate of inflation and keeping them fed is a constant challenge. 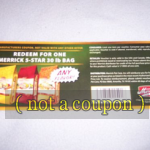 When I was a kid my mother used coupons for everything. I didn’t think it mattered much to save a dime here or there but when I got through the line up with my grocery cart a year or so ago I knew I had to do something to reduce the cost of the foods and other items we needed and wanted. 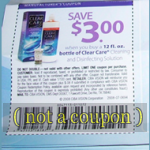 So, like they say, mother always knows best, I decided to take up couponing. I was amazed at what I could find just by looking in my local newspapers, magazines and asking for from the companies directly or on line!! 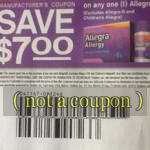 Now you have to be careful as I found out, in this coupon world that I entered. Not everyone is honest. So, I stick to the tried and true methods of clipping or writing companies directly and not buying from the middle man. This site is all about my finds, my recommendations and my suggestions. I hope you’ll find my information useful and inspiring. 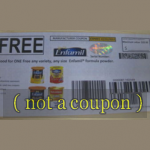 With a little searching you’ll see that lots of companies are willing to give out coupons sometimes even for free products or coupons for some kind of saving off the purchase price. That’s my passion, that’s what I love to do. To see how much I can save and that’s why I made this site. free groceries .info is simply a way for me to express my love for coupons and getting discounts. Here you’ll only find information and my love of saving money. I do not give out coupons. 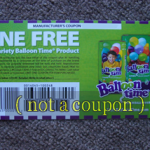 Just to be clear, this site does not distribute or give out coupons of any kind. And I hope you will enjoy it as much as I do.